Learning to cross a bridge. I found two riding facilities in Ohio. One of them is a working dude ranch where the guests can participate in the actual running of the ranch. The activity list is extensive at this guest ranch. Something for everyone for sure. It starts with a demonstration on how the ranch hands train the horses along with instructions on how to saddle, bridle, and ride a horse. When a guest is joined with their new equine friend they are ready for a trail ride. This ranch features a lot of trail rides which is what dude ranches are all about, right? The ranch offers a few specials throughout the year. For 2018 the schedule is as follows. Memorial Day Weekend Special is May 25-28. Adults $525. Youth is $395. Labor Day Weekend Special is Aug, 31-Sept. 3 Adults $525. and Youth is $395. Columbus Day Weekend Special goes from Oct. 5-8 and the rates are Adults $525. and Youth at $395. For other rates and reservation information visit their site under the Rates and Reservation tab. More activities include participating with and learning some cowboy fun like cow penning or guests can help with feeding the stock, horse painting, or take roping lessons. I’ve done a bit of the roping. I couldn’t swing a rope at all, but with a few lessons from a cowboy I learned it well enough to catch the plastic calf head attached to a bale of hay a few times. It was a fun experience. And even if I failed to “catch” the calf I had learned a new skill. 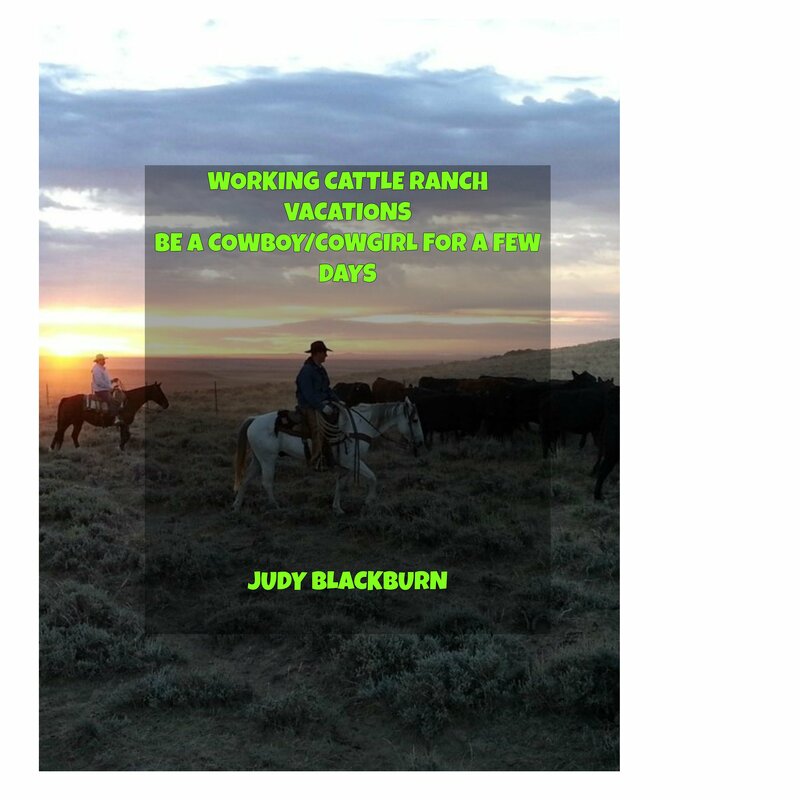 This is a working ranch located seven miles from Burr Oak State Park that offers the guests to participate in the actual ranch jobs that keep it going. Their 2018 schedule is full of events starting with a Trail Clean Up the end of March. There is more then 2000 acres with trails that need maintenance. A colt starting clinic is an interesting time of learning how to start a colt for his years of service. If you have your own horse that needs some training done, this is the place to come to and get some professional help in getting your horse to be the horse you want him to be. If you don’t have a horse guest are invited to just watch and learn. In April the event is called Bring in the Spring. This is all about the cows. Guests can learn to drive cattle, be in a round-up, and then learn break-away roping. This isn’t all. More activities can be found at their website under the Schedule of Events tab. For accommodations check out the cabins. The Longhorn Cabin is $165. a night. The Rustic Cabin is $75. a night.